Healthy juice recipes are a great way to get in your daily fruits and veggies. Here are 7 that I particularly like. 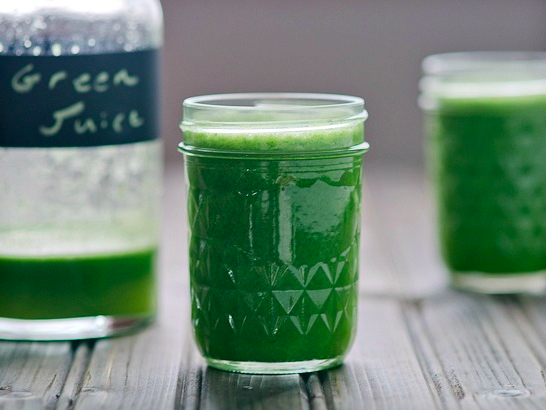 Juicing is all the rage these days, and for good reason. 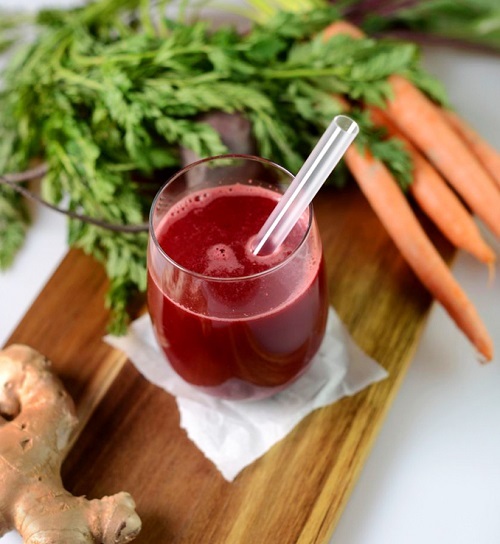 For those of us that would rather not eat 3 – 4 servings of fruits and veggies every day, juicing is a great way to provide our bodies with the vitamins and minerals needed to maintain optimal health and performance. You can spend money on a multivitamin or you can spend money juicing, and many people prefer the all-natural choice. That said, I don’t recommend a 100% juice diet for weight loss or “cleansing” purposes (in my experience, 99% of the time someone says they’re “cleansing,” they’re just trying to lose weight). Severe calorie restriction is not only unsustainable, it’s quite unhealthy. Instead, you can make juicing as part of a healthy weight loss diet by keeping track of the calories and going easy on the fruit, as it contains quite a bit of carbohydrates (which aren’t a problem in and of themselves, but if you drink too many calories, you’re going to find it very hard to lose weight). 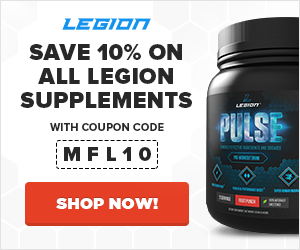 That’s why you’ll find the nutrition facts for the healthy juice recipes in this article, and if you want to try your own concoctions, use this online juice nutrition calculator to determine the calories. While we’re talking fruit, it’s also worth discussing the fructose issue, as many “experts” claim that it makes fruit consumption unhealthy. The reality is while eating too much fructose is harmful to your health, the small amounts found in fruit as well as the fiber, which changes how your body absorbs the sugars, makes it quite hard to eat enough to be an issue. If you eat 30 bananas a day, your fructose intake is too high and you should cut back. But if you’re a normal person and you eat a few pieces of fruit every day, you’re totally fine. And that applies to juicing as well: juicing 20 apples per day is a bad idea, but juicing a couple is totally fine. Juicing also removes the fiber from the fruit, so you lose the absorption benefits (and the many other benefits of dietary fiber). It’s powerful, which means you don’t have to wrestle your material into it and it spits out a lot of juice. 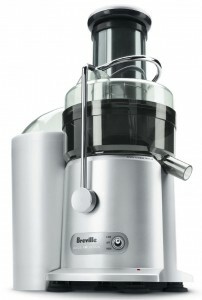 It’s fast, which means no waiting 15 to 20 minutes for your cheaper juicer to chew through everything. This thing rips through anything you throw at it in a minute or two. It’s easy to set up, operate, and break down and clean. So, with all that out of the way, let’s get to the recipes! 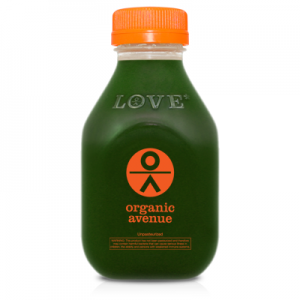 This recipe is from one of New York City’s top juice shops, Organic Avenue. 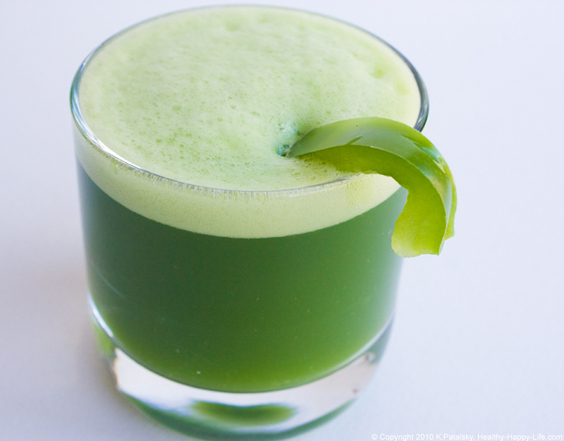 If you like this veggie juice blend, check out the upcoming recipe book, which will be available next month. 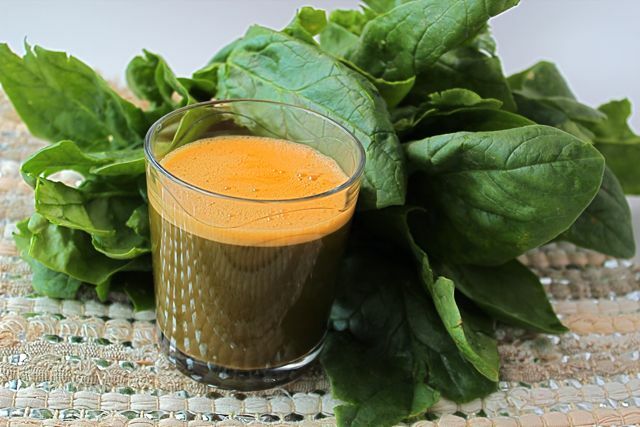 Give your morning OJ a big boost with spinach, carrots and cucumber. Along with all the vitamin C of citrus, you’ll also get a bunch of iron, potassium, zinc, and more than an entire day’s dose of vitamin A. When your sweet tooth strikes, this will put it back in its place without a fight. It has so many different types of fruit it’s bound to kill one of your comfort food cravings, and the dash of cayenne pepper will steer your appetite back toward the savory. Even if you don’t think you like beets, give this recipe a try. The earthy flavor is subdued by the ginger and sweetened by the apple and carrots. And they’re worth learning to love because beets because they have countless vitamins and minerals, including beta-carotene and folic acid, and act as a natural liver cleanser. This best-seller at Juice Generation shows that, even with all the superfood hype, there are still original ways to use kale. The leafy green shows up in salads, smoothies, and even on top of pizza. But have you ever had it sweetened with apples and watermelon? Sprouts can take a simple sandwich to the next level, but did you know you can juice them? 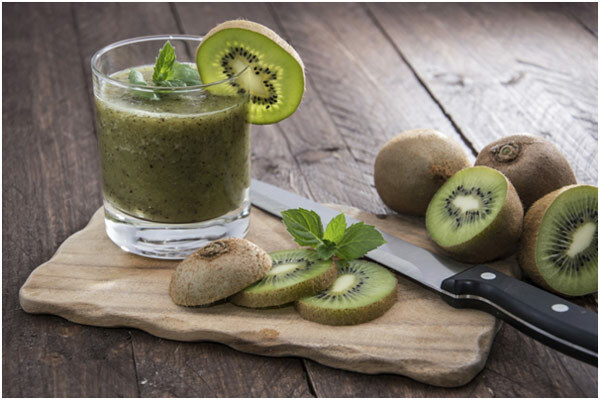 They have a naturally sweet flavor that plays well against the tartness of kiwifruit. If you love crunchy bell peppers on top of a fresh green salad, this will quickly become your go-to juice. Pick your favorite lettuce or leafy green, and add salad fixings like cucumber to the mix. 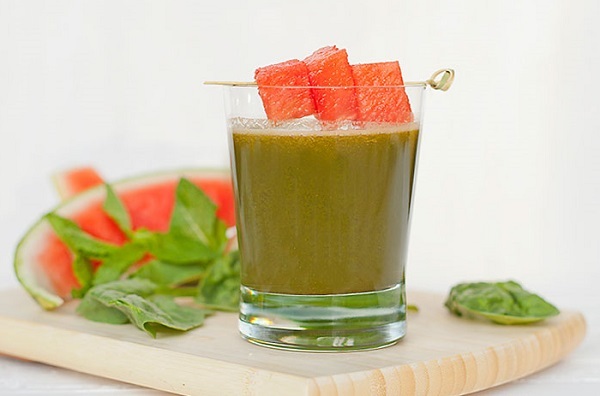 What did you think of these healthy juice recipes? Have anything else to share? Let me know in the comments below!